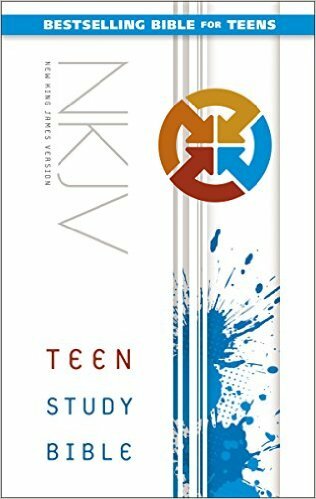 NKJV, Teen Study Bible is the perfect study Bible for teens! I love that this NKJV, Teen Study Bible helps teens discover the eternal truths of God’s Word and apply them to the issues they face today. With teens facing so many issues today it's incredibly important to provide them with God's Word to get them through those tough teen years. I love that this study Bible has a To the Point section that Reveals what the Bible says about pressing issues, Instant Access: Tells what God says to you personally, highlights Bible verses worth remembering and provides an overview for each book of the Bible. My favorite section of this NKJV, Teen Study Bible is the Q&A section to tests your knowledge of Bible trivia. Who doesn't love a little trivia! This NKJV, Teen Study Bible would make a wonderful gift for any teen in your life. It's the perfect way to help them through the awesome teen years! You can find NKJV, Teen Study Bible on Amazon, Barnes and Noble and other bookstores.